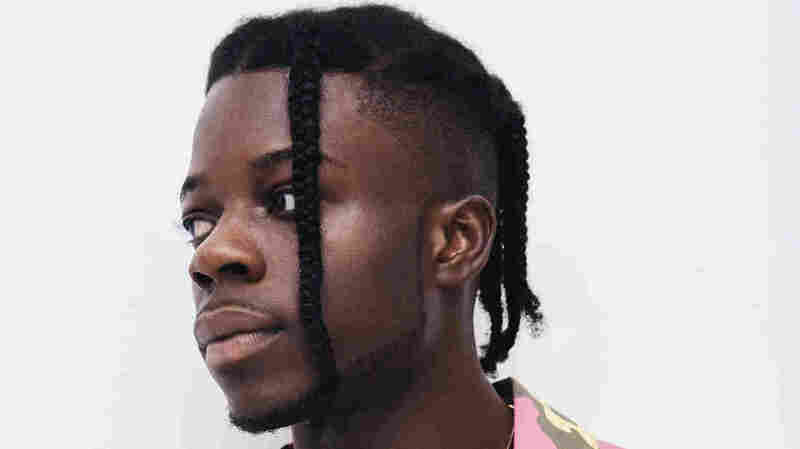 Nigerian-Born Rapper Thutmose On His Debut 'Man On Fire' Nigerian-born, Brooklyn-based rapper Thutmose named himself after an ancient Egyptian pharaoh — a nod to the kingly responsibility he feels for his family and his music. Thutmose's debut project Man On Fire is out now. Thutmose is the name of an ancient Egyptian pharaoh, but it's also the stage name of Nigerian-born rapper and songwriter Umar Ibrahim. After immigrating with his family to Brooklyn, N.Y. at the age of 8, Thutmose grew up caught between the America he was experiencing and the America he imagined. "The hip-hop, the R&B, the aggressiveness of New York City, the diversity — it was such a culture shock and I was a rather quiet kid," Thutmose says. But in the midst of all the chaos, the sounds of Kendrick Lamar and Jay-Z helped the young musician make sense of the world and inspired him to make music of his own. Thutmose's debut project, Man on Fire, out now, gives a brief glimpse into the young immigrant's story. Introduced to the scene through SoundCloud, Thutmose gained notoriety with a freestyle over Kendrick Lamar's hit record "HUMBLE.," and used that momentum to release his own songs. His early experiences with New York stuck with him and influence much of his music. "I was merely observing people, observing cultures, making friends, having crushes for the first time," Thutmose says. "So it's just a lot of new experiences for me, good and bad." One of his first memories in the United States was when a SWAT team raided his family home and put a gun to his father's head. Young Thutmose had to quickly learn how to remain calm and cope. He has used music as his outlet to experiment and process such events and this ingenuity shows. This is a theme in Man on Fire. "Hip hop is rooted, was birthed in New York, so there's a history of flipping your story into something positive" Thutmose says. "We're still here. Everybody's alive. Everybody's living, doing their own stuff, trying to chase their dreams. Trying to keep the energy positive and optimistic because that's the only way, I feel like, to really live a good life." Man on Fire is out now via TH3RD BRAIN.